We are one of Wisconsin’s unparalleled private detective agencies serving Eau Claire, Chippewa Falls, and all of Wisconsin. At Third Coast Investigations we provide investigation services and solutions for law firms and attorneys, insurance companies, businesses and organizations and the general public. 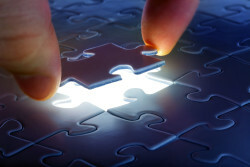 We are known in the industry as being tenacious and stopping at nothing (except illegal activities) to find the truth. We bring cases to a successful conclusion 90% of the time (2013 data). All of our investigators come 100% licensed and insured within Wisconsin coming with varying backgrounds in forensics, surveillance, interviewing witnesses, serving hard to locate individuals, to any case we are given. TCI prides itself on being able to complete any investigation in a timely and efficient manner while still achieving a better result than any agency within the state. If you need any court testimony we are prepared to give you our full legal attention. 1. Every investigation is done within our agency. We don’t hand work out or sub-contract any case. Our most sophisticated investigations are always done by TCI employees. I would question every agency you call if work is being “farmed” out to other companies. I guarantee you communication won’t be the same and who knows about the product quality. 2. If you dial our local or 800 number you will be contacting lead investigator Brandon and not a secretary or 24/7 answering service. I’ve called these “nationwide” companies and I can tell you they won’t be able to give you any answer unless it’s within companies hours. The last time I checked, PI work is 24/7, not 9am to 5pm. 3. We are statewide and open 24 hours, 7 days a week, all year. Holiday, snowstorm, or any other weather condition. Rates may be subject to change, but our guarantee remains the same: quality and efficiency. 4. Our customer service is the best in the industry. We know your case may require direct attention and if you request, we will contact you with updates as soon as they happen (as long as they don’t compromise the investigation). 5. Our agency is the first and only private investigative agency who provides Chinese and Spanish bi-lingual investigative services. Call now for any information. 6. You have our guarantee every investigator is equip with state of the art tech, ensuring no investigation is out of reach. Our monthly and yearly training vastly separates TCI from other agencies. We make sure everyone is in the know of current laws and procedural operations. Locating Missing People/Persons – Our agency is called upon by parents of missing children, individuals looking for friends and family members, debtors seeking payments, adopted children seeking out parents, and many other instances. We have an extensive network and years of experience which gear us to locate people in as little as 2 hours. Not everyone is found so fast but you have our guarantee TCI will exhaust every resource to locate the person in question. 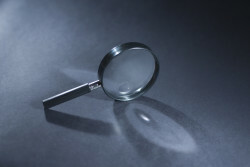 Surveillance – The bread and butter of private investigation work and one of TCI’s specialty. Our agency is tasked with 1-5 surveillance cases on a weekly basis. We conduct cases ranging from child custody, infidelity, insurance fraud, locating people, process serving, activity checks, and many other circumstances. We are the go to source if you need up to date information on someone. There is no better way to find what someones activities are. Every investigator is required to use the best video and cameras in the industry. We stay ahead of the curve and are never limited by equipment. At the end of the investigation our photos and videos will be turned over to you as well as any requested reports. Confirming Infidelity – One of the hardest situations anyone can be in. We understand this and offer you our guarantee. Your case will be treated with 100% confidentiality and respect. Our investigators are prepared using the best surveillance equipment and have experience conducting hundreds of spousal infidelity investigations. At the end of the case we will turn over all video and photographic evidenced so you are able to make an informed decision. Background Checks – Do you need to know the facts on somebody? Worried someone isn’t who they say they are? We can help. Whether you need arrests, residence history, date of birth, social network information, criminal information, vehicles, employment and education verification, judgements. Every background check is customized to our clients requests. We can go as deep as needed. Our background checks take 1 to 5 days depending on what is considered. For specific information please contact us. 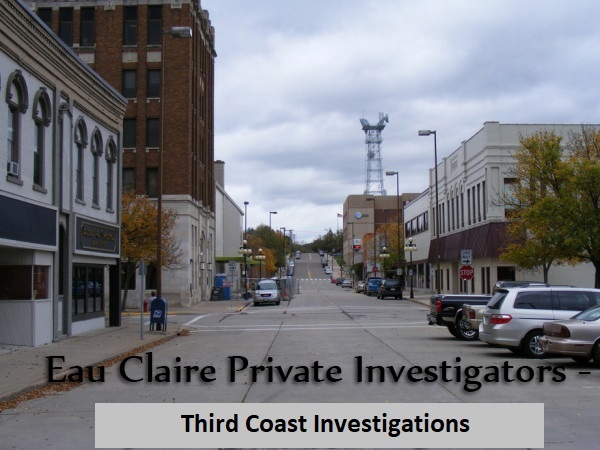 If you need an investigation in Eau Claire, Chippewa Falls, or throughout the whole state of Wisconsin Third Coast Investigations is prepared to provide excellent service and resources to solve your case. Call Third Coast Investigations – Professional Eau Claire Private Investigators now for information or for a free phone consultation.